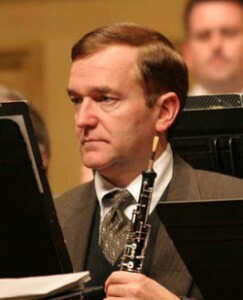 Dr. Ricky Duhaime holds a Bachelor of Arts Degree in Music and a Bachelor of Science Degree in Education from the University of New Hampshire, a Master of Music Degree in Performance from the University of Illinois, and the first Doctor of Musical Arts Degree in Multiple Woodwinds Performance to be granted by the University of North Texas. A faculty member of the Austin College Music Department since 1978, where he has held the Mildred S. Mosher Professorship in Music since 1993, Dr. Duhaime’s teaching responsibilities include applied music instruction in woodwinds and cello, direction of instrumental chamber music and jazz ensembles, and classroom courses in music theory, ear training, woodwind methods and techniques, conducting, orchestration, music appreciation, and acoustics. 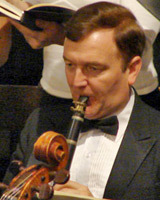 As an active performer, Dr. Duhaime appears regularly as principal and section member with several regional orchestras and ensembles and is a frequent concerto and recital soloist as well as clinician and adjudicator. Dr. Duhaime also serves as one of the continuing faculty and orchestral principals with the Eisenstädter Sommerakademie held each summer in Austria. Additional recent domestic and foreign appearances include being guest artist and visiting professor at the Haydn Konservatorium (Austria) and concert tours with the the New Millenium, the Galliard, and the Walden string quartets and the Trio Eisenstadt. 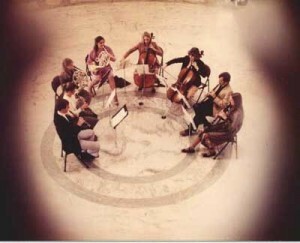 Extended summer concert tours include those with the American Chamber Winds in Europe, the U.S. State Department Concert Tour in Latin America, and the American Wind Symphony Summer Tour of Mid-America. Articles by Dr. Duhaime covering topics in the history and performance practice of 18th- and 19th-century music have appeared in the journals of the International Clarinet Society and the National Association of College Wind and Percussion Instructors. His professional conducting credits include appearances at the Dallas Museum of Art, the Haydn Festspielkonzerte (Austria), the Sherman Community Series, and the Crystal Records CD 762, Facets. For additional information or to schedule a performance, please contact Dr. Ricky Duhaime. NOTE: These excerpts require RealPlayer. Download the free player. For additional information or to schedule a performance or clinic, please contact Dr. Ricky Duhaime.